Tara is teaching a class for National Multiple Sclerosis Society on behalf of Bethy Deverick McCune at Compass! All proceeds from this class will go directly to Team B Dizzle. Your donation will research, provide life-changing services and guarantee a supportive community for those who need it most. Together, we will end MS.
Our theme for the class, anything MICHAEL JACKSON! This full body, heart pumping workout will be a 45 minute session with a booty band and some of your closest friends. Join Tara and Eric Hinman as they take you through fun exercises and keep a smile on your face! A yummy brunch to follow from JustBe Kitchen. Come sweat, practice self-love and take a stand. Fact #1: We all know Ruth loves to get her workout on. She takes a stand in the court room and also for her physical health. Fact #2: Working out is one GREAT way to dedicate a little self love. And that's exactly what we will do on this Valentines Day eve. Get ready to sweat, move and call forth your inner fierce RBG in this full body workout lead by Compass Fitness Co-owner Jillian Keaveny. After class we will honor our girl RBG by advocating for one of the topics on the for front of Colorado women's rights, ending pregnancy discrimination by supporting family leave with Same Side. February 27, 2019 | 7:00-9:00pm. Jillian Keaveny will lead you through a deep and powerful flow. Stretch out muscles, find more movement in the joints, dance and connect to the music & people around you with Kirby Koch playing the latest in Underground beats. Join FitLo Denver at Compass Fitness Buns and Guns with Tara M. Laferrara! This will be a strength based class, which combines heavy lifting with pilates/yoga-based small movements to target your booty and arms. "This class will leave you wishing toilets were taller and long sleeve shirts were never a thing!" We all have lower back pain these days- but where does it stem from? And how do we address it on a daily, practical and approachable basis? This 1-hour workshop, taught by TriggerPoint Master Trainer, Laura Bordeaux, will address those questions and deliver 5 key muscle groups that are synonymous with lower back pain to release using self-myofascial techniques. All levels of fitness and experience in foam rolling are welcome! Foam rollers and massage balls will be provided on-site along with a 25% discount toward all TriggerPoint Therapy products. In 2019, make time for you. Get ready to take on the year with fresh focus and invigorated intention. Join us this year on the indoor field where the Denver Broncos train. Jillian Keaveny will be teaching a full body workout, plus breakfast, panels, and goal-setting. 7pm-9pm. Local vendors, juice, snacks, apparel after class. Get your New Years off to a mega fun- connected and HEALTHY start. Compass Fitness has partnered with Physical Dimensions to bring you a new level of health. We are offering an overall health and wellness package to get you started on the right path as we begin a new year! Physical Dimensions is an integrative group that specializes in sports medicine and functional rehabilitation. This practice is two fold, with medical services as well as physical therapy and chiropractic. Medically, we focus on searching for “dysfunction” rather than “sick symptoms”…”not sick” is not the same as being “healthy”. The blood is truly a window into the health of the body and can give many answers of why your body may not be responding to your efforts such as eating clean and exercising. Functional blood work helps achieve optimal health and aids in maximizing your athletic potential. Our comprehensive profiles include hormones, full thyroid, vitamins, inflammatory markers, etc… to give a more detailed analysis into your health. We are offering this package for $299 (originally $615), and insurance may cover a portion of the cost. We look forward to working with the Compass Fitness family! We are all about balance here at Compass Fitness with both the way you move your body and what you put in it. We want you to "find your direction" when it comes to a healthy relationship with food. With the help of our friend and registered Dietitian Nutritionist Monica Salafia MS RD CPT, we are creating a 28 day nutrition reset beginning January 7th. Join US (Sarah and Jourdan of Fresh Fitness, Jillian, Heather, Cory and Tara of Compass Fitness and Keri Bergeron aka master of zen) for this 30 Day Collaboration designed to get you into a regular workout routine, dial in your nutrition, hold you accountable to showing up 3 days a week and also to add in mindfulness to your busy schedule with an additional day of yoga each week. During this program you will be led through 3 workouts (1 being yoga) a week and have an additional "homework" workout to complete on your own. Workouts will be different each class and include a variety of formats including kickboxing, trampolines, HIIT, kettle bells, weightlifting and cardio based movements. Spaces are limited so sign up before it sells out! Three trainers collide to create two awesome fitness events! We can't wait to kick off 2019 with you for back to back weekends, in two cities - Denver and Colorado Springs. Jillian Keaveny, Steve Thompson, and Tara Laferrara bring a combined 40 years of experince to the table, plus they are great friends. 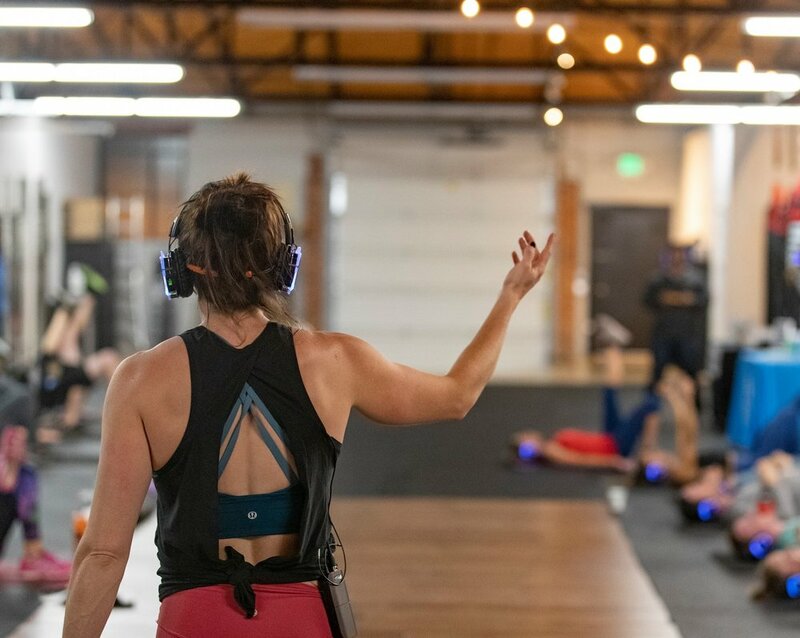 So get ready to laugh, move and sweat in this hour-long class, powered by SoundOff Colorado, with complimentary beverages to follow provided by White Claw. FIRST 20 tickets purchased receive a FREE White Claw water bottle! Sweat it out with FitBit Local, a series of FREE monthly workouts in your city, led by fitness leaders from your community. Grab your friends and join Fitbit Local Ambassadors Samy Mattei and Jon Cerf for a fun-filled hour broken up into 30 minutes of heart rate raising, muscle-toning fun, and a 30-minute yoga stretch and flow. Everyone and all levels are welcome, so bring a friend and a smile. Owning a Fitbit product is not necessary to participate. Plus, one lucky participant will win a Fitbit! Come Sweat and Bee with your Besties. Fitness. Goodies. Gear. Yummies. Fun. This day is dedicated to teen girls, ages 13-16yrs. Time to sweat, connect, learn, move, share and be with friends. Please join us for a full body strength class created not only to challenge you physically but mentally. A great time for a great cause — and it’s free. But....we would love a donation ($10 suggested) to send to the Lung Cancer association to battle this disease that affect so many of our loved ones. Come learn the basics of Kettlebells with Tara Laferrara, NASM personal/group fitness trainer, online trainer certified in CES, kettlebells, mobility, durability, & RYT. This two-hour workshop will cover basic kettlebell exercises: Swing, Clean, Deadlift, & Press. The workshop will show you how to use your body safely, effectively and efficiently using a kettlebell. 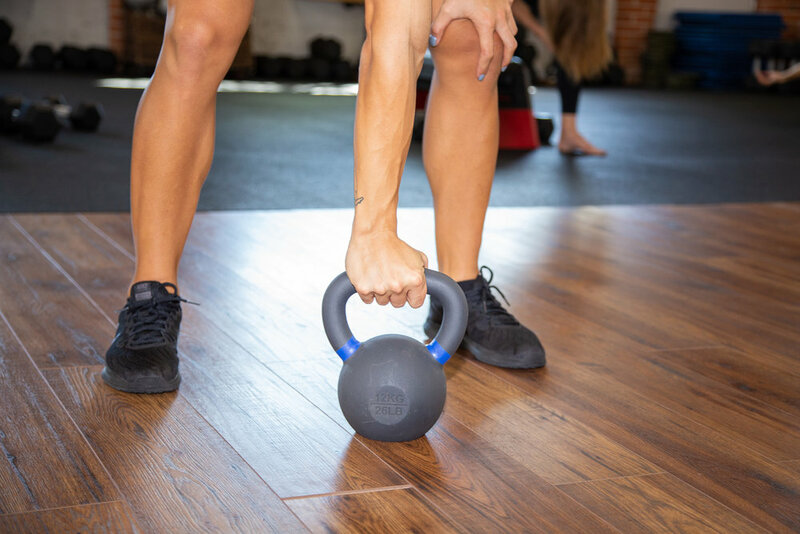 The kettlebell can help your body in strength training, core conditioning, mobility, stamina and coordination without any impact to your joints. Created to give you the best of both worlds - fitness + yoga. Get ready to sweat in the first half of this class! This fitness section is high intensity, yet always all-levels and tons of fun! Next the shoes come off and in the yoga practice we go inward and find countering postures that will leave you feeling balanced. Join us November 18th and earn your booze with a high energy workout in collaboration with lululemon, Compass Fitness and more booze brands than we can count! 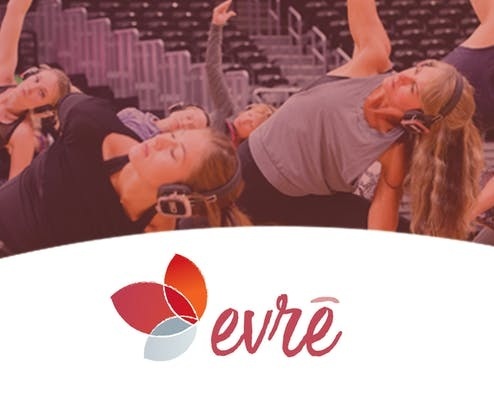 Ticket includes live DJ workout, EYB Signature Cocktails, Cold Brew, Craft Beer -AND- EYB/lululemon apparel! Event caps at 100 guests. See flier for additional details. 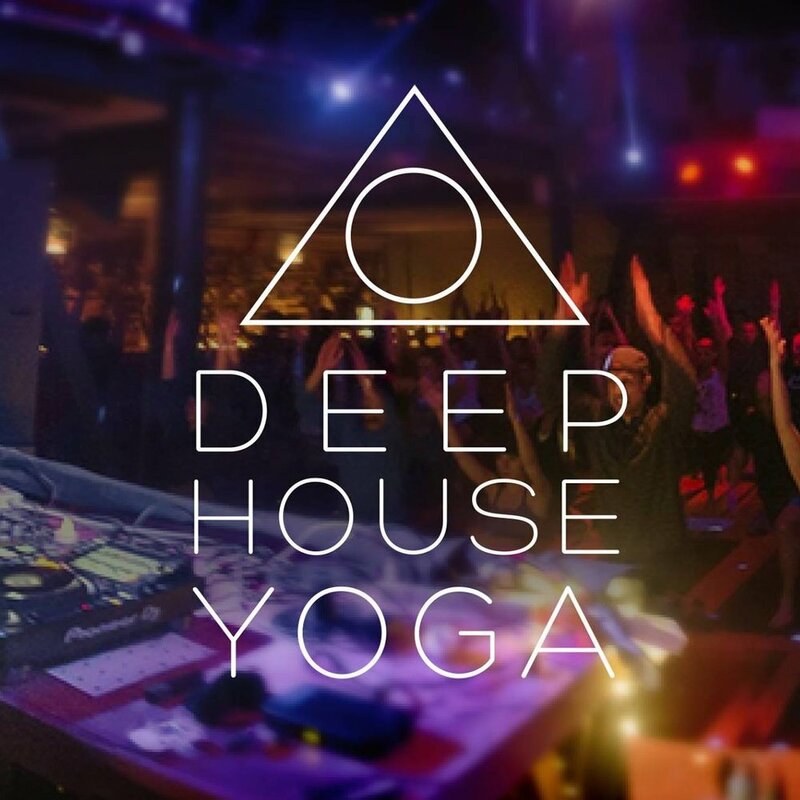 This is a power flow yoga class set to magical underground beats and is a fully immersive experience of body movement, dance, sound and lighting to help you embody peace and stillness! Party on the mat you say? Dancing in downward dog? Trippy tree poses?? Compass Fitness provides an exceptional community and energy driven fitness experience. This 50 minute Compass Full Body Class will be a mixture of strength and cardio. We will use resistance bands and our own bodies for functional, fun movement to get your Sunday started off right! Bring a friend and join in on this fun together! Strava, the popular social network on which tens of millions of global athletes track their workouts, recently opened a new office here in Denver. They reached out to Compass Fitness because they knew they would get a best-in-class workout. "Strava will have access to a highly educated and energetic workforce (here in Denver)” Gov. Hickenlooper says. “Colorado shares their values and is dedicated to protecting our outdoors and ensuring opportunities for all to live a healthy lifestyle.